Dry shampoo Gods, Batiste, have launched their new styling range which aims to help you to say goodbye to uncontrollable locks that lack lustre and say hello to style perfection! There are six products in the range, a plumping powder, a volume spray, a hold hair spray, heat and shine spray, frizz taming spray and a texturising spray, all of which are designed to give you instant results for quick and easy style transformations. I really like the idea of that as I’m often in a rush to do my hair and on a day to day basis, I like to avoid heat styling where I can so I prefer products that help me to create a style quickly and easily rather than having to wait ages for it to set and to use a lot of heated products to create the look. 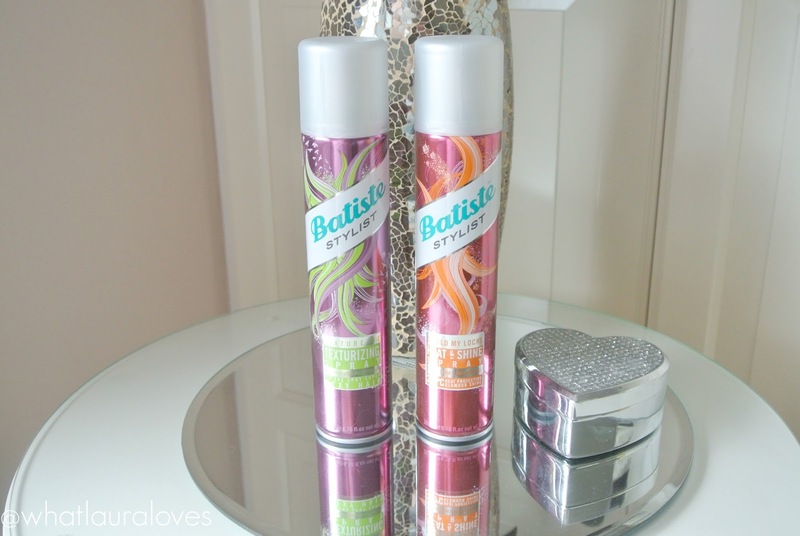 I have two products from the new line, although I have tried out another two products that were around before the whole Batiste Stylist line launched, the plumping powder (review here) and the XXL Volumising Spray (review here). I’m not sure if the formulas of those products have changed but I wouldn’t imagine so. The two products that I have from the new line that I’ve been trying out are the Texture Me Texturising Spray and the Shield My Locks Heat and Shine Spray. The Batiste Shield My Locks Heat and Shine Spray* is primarily a heat protection product that you spray through your hair to protect it from the damaged that can be caused through using heated tools. I spray this from a distance onto my dry hair, pulling my it up into sections to make sure that I coat all of the hair and then I ruffle my hair with my fingertips to ensure that it is evenly distributed and wait a few seconds before applying the heat from my straighteners or curlers to my hair. This spray helps to shield the hair against heat up to 230°C and I’d say that it does a great job at doing so as it has helped my hair to remain in pretty good condition. Not only that, but it adds a beautiful, healthy shine to the hair. It doesn’t make it look oily or greasy in the slightest, it just gives it a lovely sheen that my blonde hair often lacks. My favourite product out of the two however, has to be the Batiste Texture Me Texturising Spray* which is a product that you spray through the roots and mid-lengths of the hair to create a tousled, textured style. Its really easy to use and has a subtle, buildable formula which I love. I’ve used a lot of texturising sprays in the past and found that some can be very full on in that when you spray them, its very easy to over do it but with this particular spray, the effect is quite subtle so you can add more to add your own bespoke amount of texture to your style. These kinds of sprays often dry the hair out quite a lot but this spray doesn’t dry it out a lot which is great because you can still run your hands through your hair and it is easy to brush out when you want to rework your style. I love it! You can buy the full range exclusively here. I almost bought one of the Batiste dry shampoo on sale at Marshall's the other day, but bought new sweaters instead 😉 The heat-protection styling product sounds like something I could really use! 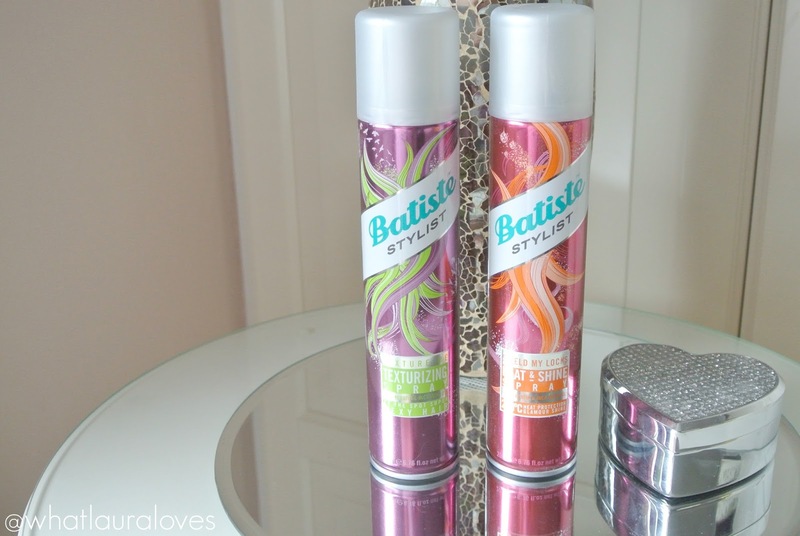 I just love Batiste dry shampoo. It is the best, by far, so this is exciting to see all these different styling products. I don't use so many different styling products on my hair but these sound great! Wow, they have something for everyone. I am. It sure if they carry this line in the States… But I would like to try it just because I LOVE the packaging. I haven't seen this new range in our stores yet. I love love love their dry shampoo in the coconut scent! I haven't tried them but they sound like a fab brand!